Here is a lovely record by the tuareg group “amanar”, released by reaktion record/mississippi/sahelsounds as vinyl or download, before only availble as a tape release. Amanar´s music was featured already in the wonderful sahelsounds “music from saharan cellphones” and the “laila, je t´aime” compilations. This is the first full release of songs recorded in 2008/2009. “At a time when many Tuareg musicians turn their eyes westward, the band of Ahmed Ag Kaedi focuses primarily on its audience of Kidal in northern Mali. Since Tinariwen, Terakaft and Tamikrest have moved on to international careers, Amanar have emerged as the most popular band of the city, playing for weddings and parties. Ahmed’s lyrics refer to the importance of education for the Tuareg community and also calls for the construction of a large united Mali; an unusual point of view, very far from the revolutionary messages of the Ishumar. “If we continue to hear these old songs that call to arms, we cannot become Malians,” he said. Ahmed has gathered around him young musicians from Kidal, whom he hosts and trains in his open house. Amanar doesn’t hesitate in modernising the sound of the Tuareg guitar by introducing drums, electric piano and even a touch of rap. In general, Amanar tries to get away from the music of Tinariwen, with the idea that the best way of respecting the founding group is not to copy it. The French label Reaktion, specialising in music of the Sahara, has made these recordings made by the group in 2008 and 2009 available for download. 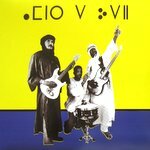 This is 100% Saharan work: a Tuareg band recorded in their own city by a Tuareg sound engineer. There’s no sign of a Western artistic producer, which is good for authenticity! Here is the true sound of Kidal in the 2000s. Buy it as a vinyl with an insert with beautiful, unreadable lyrics sheet in an unknown language at the bis auf´s messer record store.